Dr. Bali Method - Therapeutic Yoga. The goal of this method is to calm the mind and escape from our stressors, from the constant state of the fight or flight response and into the relaxation response. Through the efforts of each asana, a meditation in motion, is where we shift from thinking to feeling. Thinking consumes energy and feeling conserves it. Too much thinking is causing a brain drain where our minds are literally being fried with stress. With the relaxation response our stress hormones begin to dissolve and are replaced with happy hormones; dopamine, melatonin, serotonin thus allowing our immune system to function at peak efficiency, instantly writing a prescription for whatever might ail us. As we go through the asanas and deep breathing our guts are being decongested and metabolic wastes are being dislodged helping to cleanse our bodies and at the same time our circulation is being promoted to help nourish, rebuild, renew & repair ourselves from the inside out. This is a Hatha based practice and is for all levels as it is encouraged to listen to your body and go at your own pace. 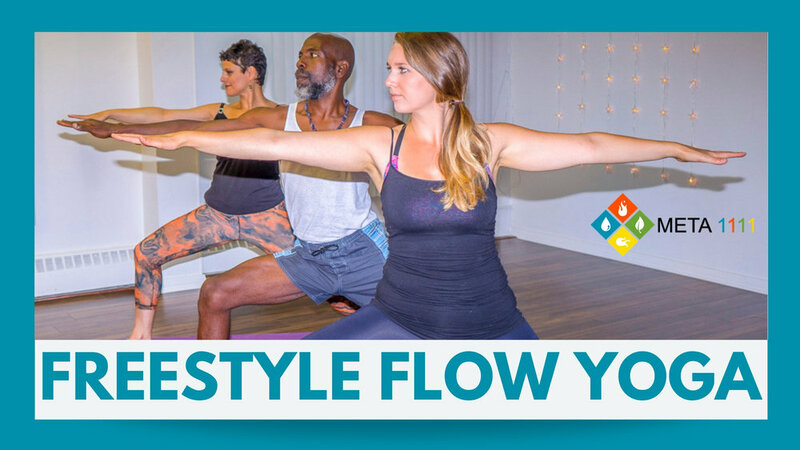 Freestyle Flow Yoga is a more dynamic class in which participants use movement and breath together to produce a "flow" of postures that leads from one to the next. Participants move through a series of standing and seated postures in combination with conscious breathing and focused attention in order to develop strength/flexibility and cultivate a state of mindful relaxation. Through proper alignment and conscience movement of the body and breath, Flow Yoga brings you balance, strength, and a sense of well-being. Yin Yoga is a slow-paced style of yoga with postures or asanas, that are held for longer periods of time— for beginners, it may range from 45 seconds to two minutes; more advanced practitioners may stay in one asana for five minutes or more. If your intention includes increasing self awareness (physically, mentally, emotionally, and spiritually) and deepening your connection with Self through Yoga, come and check out this class! Kemetic Yoga is an ancient science of bringing universal balance, harmony and order to the physical body and to balance the mind and emotions. It provides the foundation for the spiritual journey whose destinations self-knowledge. The Yoga Skills Method engages deep breathing techniques with visualizations. The practice includes a geometrically progressive flow of standing and kneeling postures from the hieroglyphics found in Ancient Egyptian temples. An all levels class with focus on alignment, beginners will safely learn the basics while more experienced students can take postures to a deeper level. Ashtanga Yoga. Come learn how to purify your body through the breath (victorious ujjayi), energy locks (bandas), postures (asanas) coordination through sun salutations, and vinyasas (movements to maintain heat in the body). "Ashtanga " litteraly" means eight limbs. They are described as : Yama (abstinences), Niyama (observances) Asana (postures), Pranayama (breath control), Pratyhara (sense of withdrawl) Dhara (concentration), Dhyana (meditation), and Samadhi (contemplation). Chair Yoga is a gentle form of yoga that is practiced sitting on a chair, or standing using a chair for support. Chair yoga is ideal for students who may be unable to participate in a traditional yoga class due to the effects of aging or disabilities. However, Chair yoga is a great practice for everyone, as it deepens flexibility and strengthens personal body awareness; asanas from Ashtanga, Hatha and Kemetic yoga are adapted for the practice. Yogalates is a fusion of yoga and Pilates as a modern type of yoga exercises for the western world that is mainly focused around physical health benefits. Yogalates exercises incorporate simpler forms of body postures suitable for people who find traditional yoga poses difficult. Yogalates combine two proven types of exercises simultaneously, showcasing the benefits of both yoga and Pilates to incorporate core-stabilized workouts with static poses. Yogalates utilizes deep breaths, which encourages consciousness of breathing during movement in a bid to assist the mind and body. Yoga generally promotes flexibility and relaxation while Pilates enhances motion and strengthening of muscles as well as improving overall body posture. 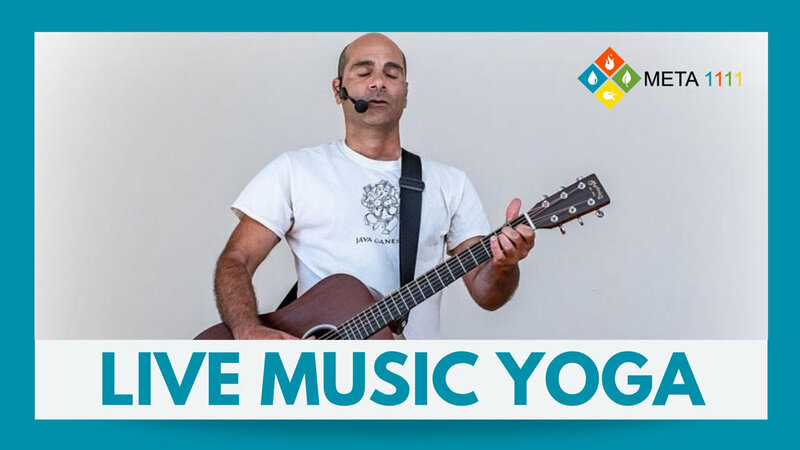 Live Music Yoga and Meditation. 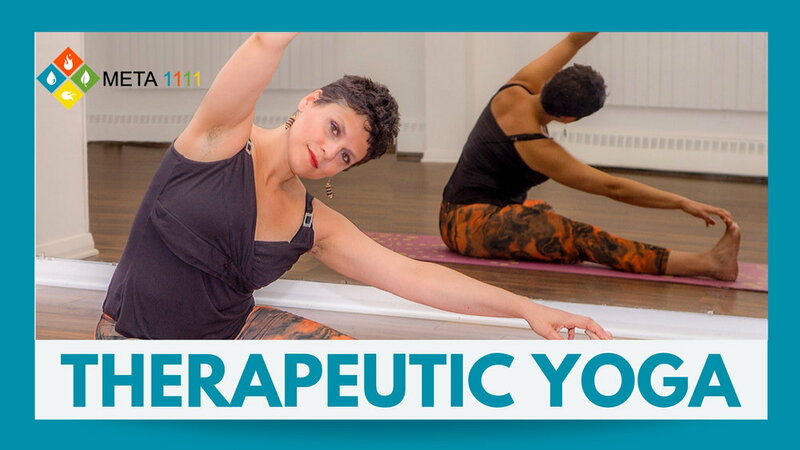 Enjoy a soft, gentle class that combines traditional yoga postures, mindfulness meditation, and breathing exercises with live music. With the soothing sound of the guitar, MJ Ganesh will guide the participants more easily into relaxation and concentration, and give them the space to enjoy an introspective, intuitive experience. The balance of movement, stretches, and stillness, with sound and silence, will provide a holistic approach to the class and promote a high level wellness and calmness to all who participate. 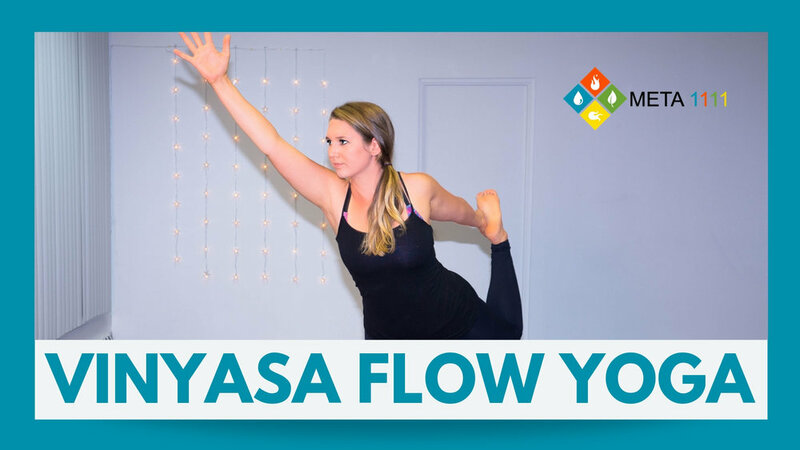 Vinyasa Flow Yoga classes made up of sequence of movements that flow with respect to the integrity of the body, if you want to sweat a bit and connect yourself with your body and breath, this is for you!